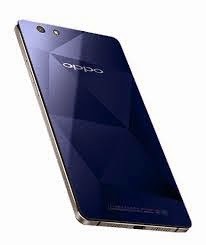 An android smartphone with rear sapphire glass panel named OPPO R1C was unveiled recently. It is the new device addition to the R1 series. The OPPO R1C is equipped with 64-bit octa-core Qualcomm Snapdragon 615 processor and runs on Android 4.4 KitKat. It has 13-megapixel main camera, with autofocus and LED flash paired with 5-megapixel front camera. The new mobile phone comes also with 2GB RAM, 6GB internal storage, which expandable up to 128GB, Dual SIM with dual standby and Li-Ion 2420mAh battery. Price of Oppo R1C is around $400. Pricing and availability of R1C in the Philippines is not yet announced. Redmi 1S now on open sale!